He hoped the long drive through the cold December rain would be worth it. The decision to see Nancy again hadn’t been an easy one. It had been a year since he’d seen her last. There had been too much said between them but there still might be enough left to start again. He missed her more than he thought and wondered if she felt the same. Christmas without her was something he didn’t want to face. She liked to spend Christmas at the farm. He remembered how much he loved her sentimentality and the way she smelled of hay and sweat. They had slipped into an easy acceptance of each other in a way that happens only a time or two during a lifetime but when she asked him if he truly loved her he didn’t know what to say. In bed that night she had turned away from him. The next morning she no longer looked at him. The day he’d left the rain was sharp and cold. He never was sure whether the tears were hers or the rain. “How could you ask me such a question?” he had said. “Don’t you know?” She had turned away when he tried to kiss her goodbye. 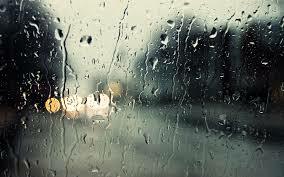 He stopped the car in front of her house, shut the motor off and listened to the rain drum on the roof. Even with his heavy coat the damp of the night still felt cold. He reached across the seat, found the whiskey bottle he kept for such occasions and finished, then got out and looked at the two lighted windows of the small building. She stood silhouetted in the doorway. She came down the steps toward him. The sharp beam of her flashlight hit him in the eyes and he turned his head away. The light snapped off. “You’ve been drinking,” she said. “What do you want?” Her voice was beyond icy. The floodlight in front of the barn illuminated her face. He remembered how she liked him to gently touch her face as if wanting to remember it forever. He looked past her to the steaming ground. For a moment he felt like leaving and looked down at the puddles of light, which formed, around his feet. He saw nothing but the sharp silver and black patterns of the water. “I don’t remember the rain being this cold here,” he said. For a moment she caught his eyes. The white rain smoke obscured her expression. He felt like pushing the smoke away. He wanted to see her clearly, to be sure of himself in the white mist before he went on. He followed her to the barn and slid the door open. A splinter scratched his palm. The black and white cow stood over the inert calf, licking the steaming body with her tongue. He knew immediately the calf was dead. In the dark the cow’s eyes watched warily. The small brown body was nothing but legs; its pink tongue, caught between flaccid lips, pointed upward as if ready for suckling. The bluish membrane surrounding the calf smelled strongly of blood. The floor underfoot was warm and covered with pale hay. He bent down and picked up a handful, working it through his fingers. She gave him a pair of gray rubber gloves. Without waiting for him, she grabbed the calf’s feet and dragged it across the floor toward the open door. The cow butted her, and then moved away. Nancy stopped, dropped the calf, took a small pitchfork from the stall, and pulled the placenta from it; quickly turning it over into the hay, then went outside and backed the pickup to the barn door. He lifted the slippery calf into it, the night like black ice in his lungs. He climbed into the truck. His breath clouded the window. She put the truck in gear and started down the road to the highway. Country music from the radio faded in and out. The scattered lights of other farmhouses glittered through the rain. They turned into a rutted road, bounced past an abandoned building and stopped in some weeds by an unused well. She got out and opened the tailgate, watching while he slid the calf into the hole. The body rattled against the stones, then hit bottom. Nancy looked away, and he felt his stomach lurch. Windy puffs of rain slanted off down the dirt road. The rain smoke swirled and twisted as if in a dance that had no end. The harsh lights of the truck silvered the building. She grabbed his hand and held it tightly. He suddenly felt like holding her–to touch her body, and hear her heart race. He poked at the wood in the fireplace with a pair of tongs. The birch logs sputtered and smoked. She broke the eggs into a glass bowl, stirred them quickly with a wooden spoon and poured the mixture into a pan. The eggs sputtered on the stove. The fire squeezed up between the logs with a fierce light. He raised his arm and made a fist, his muscles hardened. His knuckles were sore. A crack of blood had dried across the palm where he scratched it. On a farm, he remembered, blood was a sign of work—a sign that something had been accomplished, finished and talked about later over steaming coffee in the fragrant kitchen with Nancy. She scooped the eggs onto a plate, put them in front of him, and sat down. Outside, the rain fell over the dark, still fields. He took a bite of the eggs, eating with a gusto that surprised him. He finished and felt Nancy look at him. Not raising his eyes, he studied the contours and lifelines on the palms of his hands. They seemed to go nowhere. She rose and took the empty plate to the sink, then came back and kissed him on the top of his head. He stiffened. He didn’t want to hear any more. It made him feel uncomfortable. “It’s stopped raining,” he said. He looked into the fire where the logs smoldered. He thought of how well she once filled the curve of his elbow and how her hair smelled and her body against his. He felt a heaviness that no amount of drinking could erase. A fringe of moon showed behind the clouds that hovered above them. He imagined himself sliding like that calf had, through a cold black dark that was full of the rain smoke that sucked at his bones and the sharp, warm tears that spilled down his cheeks.